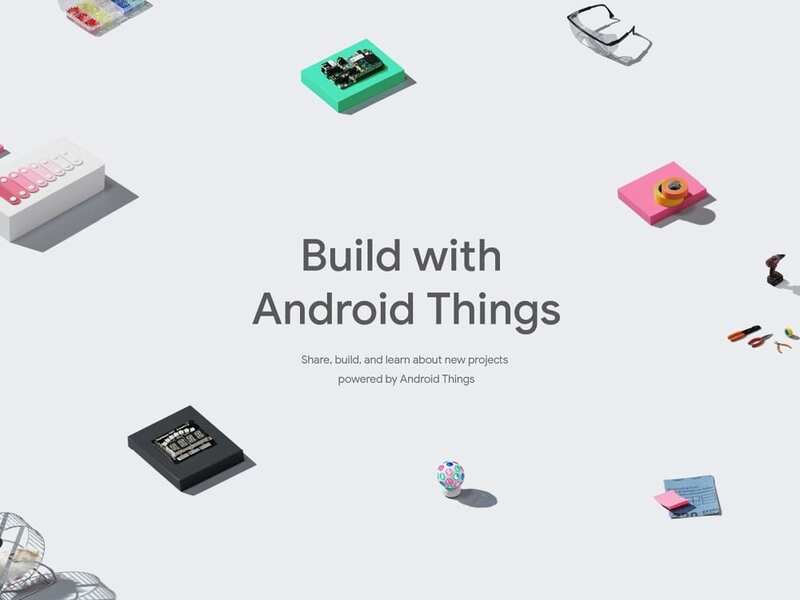 Google has finally launched a stable, production-ready version of Android Things, its operating system designed for Internet of Things (IoT) devices. The platform itself was announced way back in December 2016, and has been in the preview phase ever since. After going through eight developer previews in a year and half of time, a production-ready Android Things 1.0 is finally here. The announcement from Google has come just before the 2018 edition of its annual developer conference, Google I/O, slated to begin later today. Android Things is yet another Android OS form factor that lives alongside Android TV, Android Automotive, and Wear OS. Meant for IoT products and projects, Android Things is specially focused on fixing the security nightmare that IoT devices usually create. Google says that over 100,000 preview versions of the Android Things SDK have been downloaded by now. After studying feedback from over 10,000 IoT developers, the company is finally releasing the first stable version of Android Things. Android Things is designed to give IoT developers access to Google’s machine learning system, along with Google Assistant, for their IoT devices. Google also promise to provide a lot of post-release support to them. Google says that for each long-term Android Things release, it will offer free support – stability fixes and security patches – for three years. There also will be additional options for extended support. Manufactures, meanwhile, are free to offer updates for their individual devices even beyond the three-years window. With Android Things 1.0, Google has also announced support for four new System-on-Modules (SoMs). They include Qualcomm SDA212, Qualcomm SDA624, MediaTek MT8516 and NXP i.MX8M. These modules are certified for production use with guaranteed long-term support for three years from Google. Development hardware and reference designs for these SoMs will be available in the coming months, the company says. The older NXP i.MX7D developer hardware, and the Raspberry Pi 3 Model B will continue get support from Google. However, support for NXP i.MX6UL ends with Android Things 1.0. With Android Things 1.0 getting production-ready, it shouldn’t be long before we see IoT products powered by the platform – smart speakers and smart displays – in the market. Google expects to see a few Android Things devices by the end of this summer.